The blog schedule will be modified for a while because the Miami shows are starting and ending on unusual days. The next post will be this coming Wednesday, February 4th, with the results of the Original Miami Beach Antique Show. 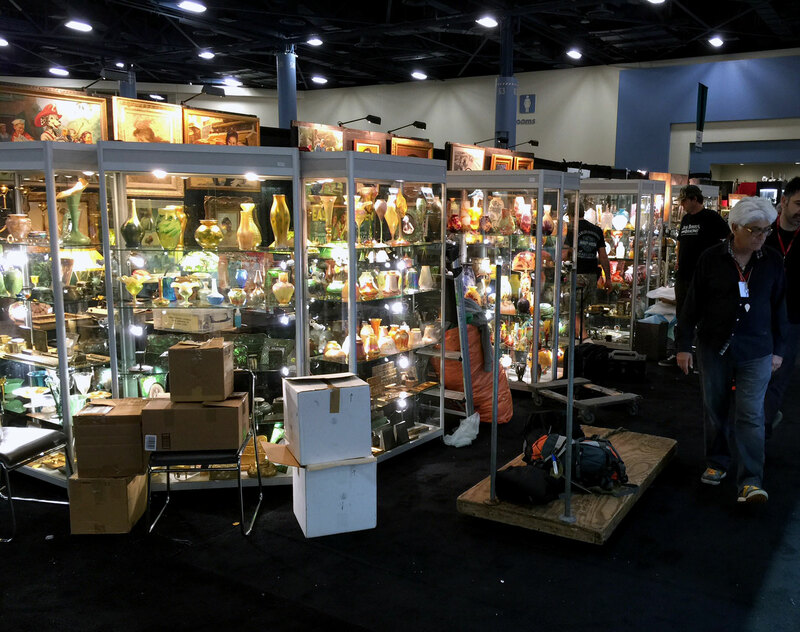 The Original Miami Beach Antique Show set up the last couple of days and will open to the public today, January 30, 2015, at noon, and will continue until next Tuesday, February 3rd, at 6 PM. I’m expecting good things this year, so tune in this coming Wednesday to see if I’m right. Setup was unusual, to say the least. Hall C exhibitors were allowed to set up beginning early Wednesday morning. Hall D exhibitors were allowed to set up from 3 PM until midnight, but were allowed to shop Hall C before 3 PM. Some interesting consequences occurred as a result. Hall C exhibitors had 16 hours to set up, but were busy for the first 8 hours. Hall D exhibitors had 16 hours to shop, but only 8 hours to set up. So if shopping from other dealers was more important, Hall D exhibitors benefitted. If total hours setting up was more important, Hall C dealers benefitted. 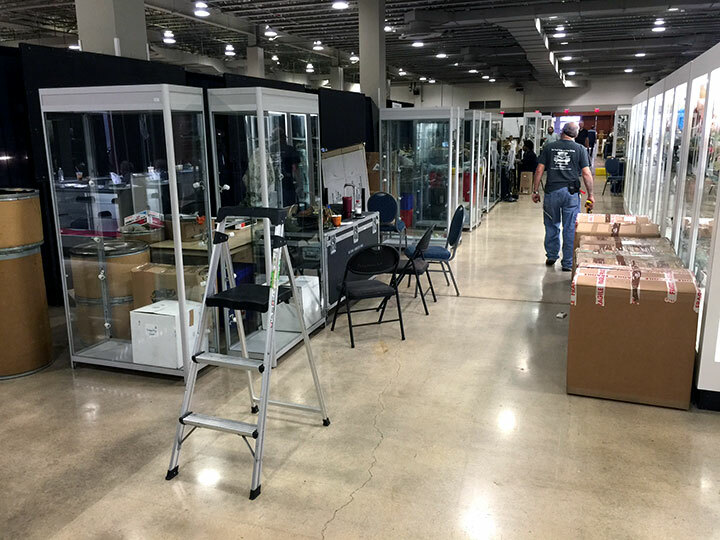 Hopefully next year, setup will return to normal and all dealers will be able to set up simultaneously. I was able to buy some very fine objects from other dealers, some of which I already sold. I’ve got so many great items for sale, I encourage you to stop by and see for yourself. There’s no doubt you’ll be pleased. The entire show is absolutely fantastic. Where else can you see so much great merchandise from all over the world under one roof? Next week we’ll be in Naples, Florida for the Naples Art, Antique & Jewelry Show. It will be our first time there and we’re expecting good things. We visited last year and were pleased with what we saw, so we decided to give it a shot this year. If we do well, we’ll be back next year. If not, we’ll vacation, as we’ve done in the past. The blog schedule will be modified for a while because the Miami shows are starting and ending on unusual days. The next post will be this Friday from the floor of the Miami Beach Convention Center. That will be followed by a results post on Wednesday, February 4th. 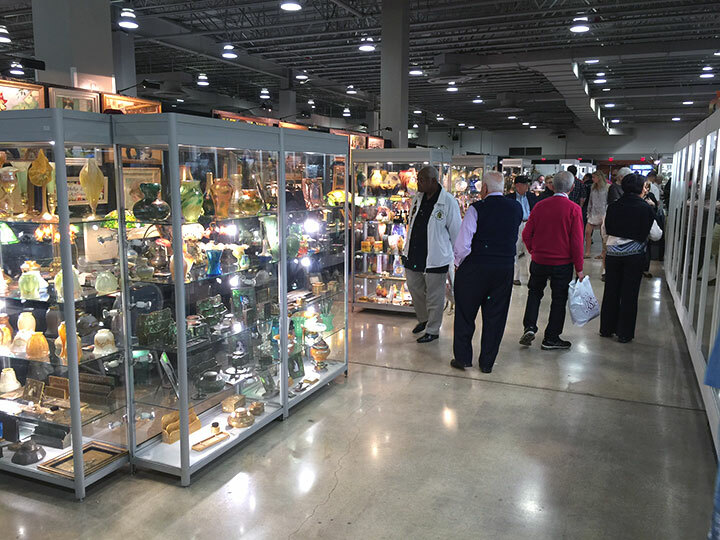 The Miami National Antique show ended its three-day run yesterday, January 26th. It’s smaller and leaner, but still a fine show. I’ve exhibited at shows all around the country and this one puts many of them to shame. Unfortunately setup on Friday didn’t go smoothly for one dealer. The bracket on the top shelf gave way, causing all of the French glass to slide off and smash to the ground, as well as take out a Gallé lamp on the way down. It was major, uninsured, six-figure damage that the dealer took with a fair degree of equanimity. I felt really bad for him. If it had been me, I would have been a basket case. Attendance on Saturday was quite good, in part because it was both the opening day of the show and the weekend. There was plenty of interest and questions, but no sales. Attendance on Sunday was much lighter, but business was much better, which proves it’s the quality of the buyers that counts, not the quantity. Monday was a joke. Almost no attendance and, of course, no sales to the public (but some sales to dealers on the show floor). It would have been nice to have a day off. Many shows have switched to two days, Saturday and Sunday, and that’s what I suggest for this show. Everyone will be happier, including show management. I did manage to buy out the French glass collection of one of the dealers on the floor of the show. He raised some capital and I got some nice glass. In asking around I got the following comments from a few dealers. Dave Crockett of Artifacts Antiques, Palm City, FL, a general dealer, commented “Did well. Wished it had been a larger crowd.” Joey Schwartz of Steve’s Antiques, Tiburon, CA, a dealer in 19th Century decorative arts, told me “Good. We did better than last year. We’ll definitely be back.” Robin and Ron Greenwald of Greenwald Antiques, Cleveland, OH, general dealers, were also enthusiastic. “We had a good show, in fact, we were thrilled. 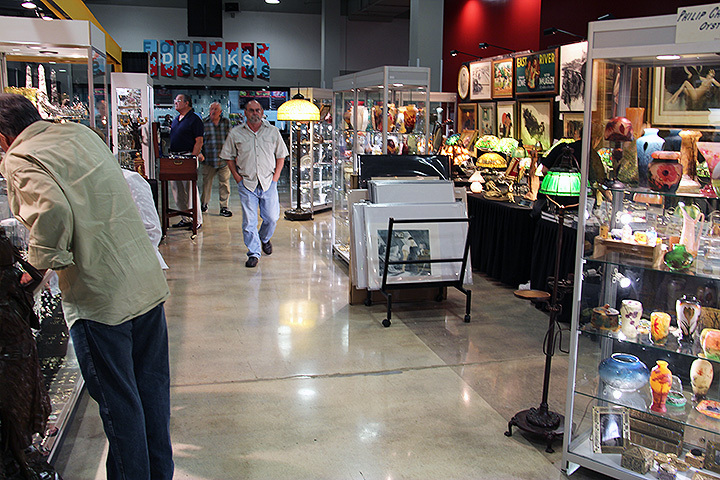 We are looking forward to many years of this show.” The general consensus of the dealers was overwhelmingly positive. Personally this was the best show of my life. Let me repeat. Best show. Ever. I wish it were due to the huge crowds and their voracious appetites, but alas, it wasn’t. I did make two sales to the public — one important and one moderate. Most of my sales were to private clients who I emailed photos of items I found at the show. They were most enthusiastic and I was most grateful. Thank you. You know who you are. French glass, in particular, was on fire. 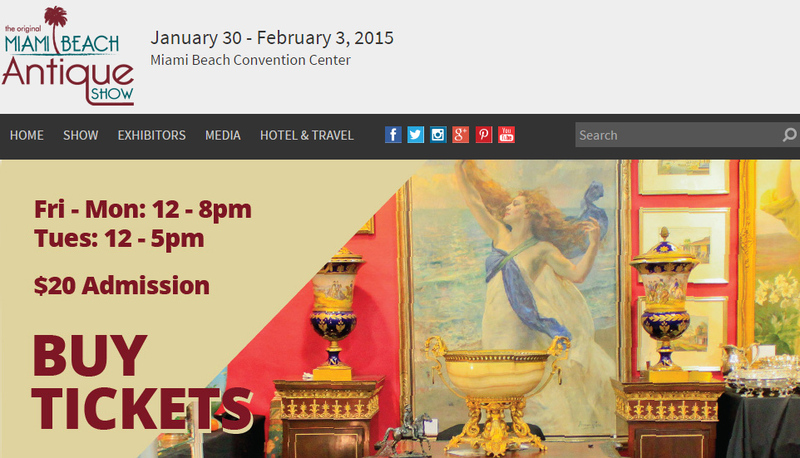 This Friday, January 30th, the eagerly anticipated Original Miami Beach Antique Show will open to the public. After all these years, it’s still a big deal. Dealers and attendees from all over the world flock there to do business. I imagine the total value of the merchandise on display to be at least $1 billion. At a 10% sell-through rate, that’s $100 million in sales — not a bad piece of change. Monday’s blog will be postponed until Tuesday so I can include the results of this show, which ends on Monday. 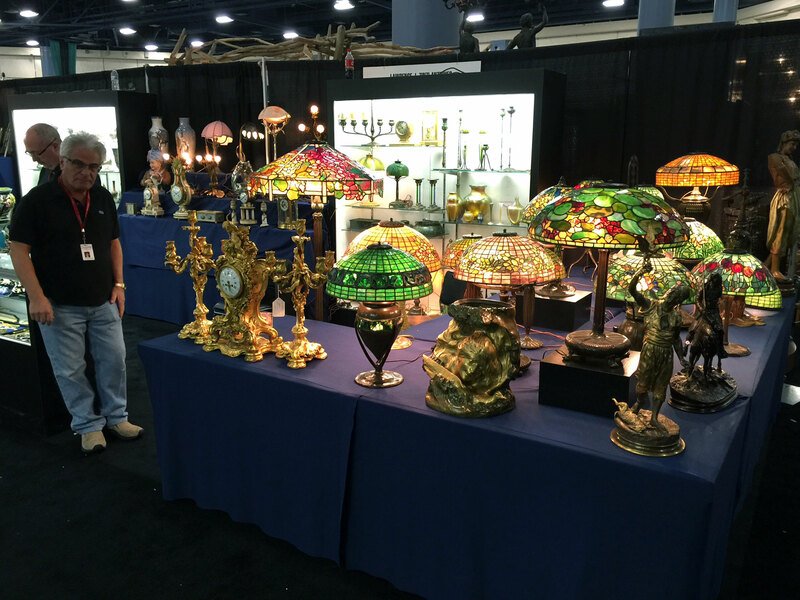 We started setting up the Miami National Antique Show yesterday, but a few of the dealers started on Wednesday. 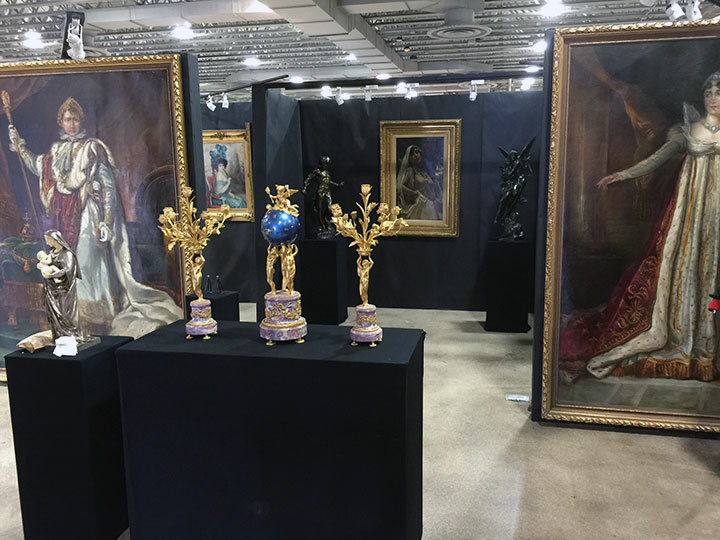 Even though the show is smaller, I was impressed by the quality of the remaining dealers, including top-notch dealers like Toulouse Antique Gallery and Valerio Antiques. 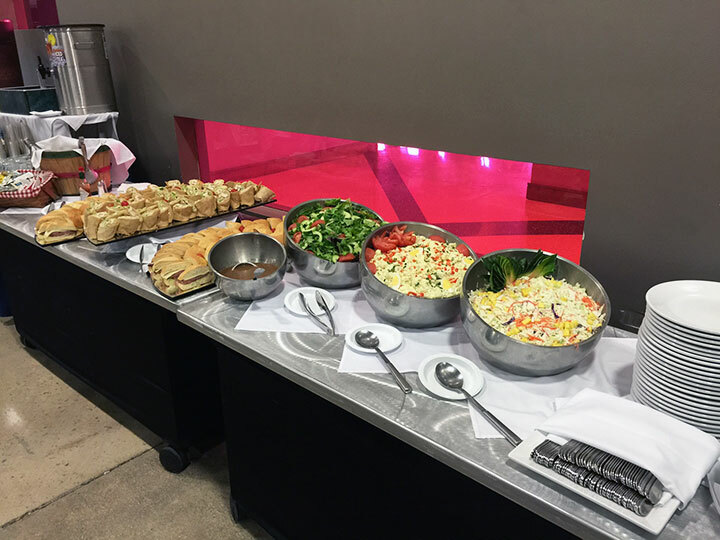 Kudos to the management for providing free lunch to the dealers. It’s nice to be appreciated. This was never done before at this show. Dealers prowled the floor buying from each other. I was lucky to be able to find some very desirable items, which I’ll have for sale at the show. The show opens to the public tomorrow, Saturday, at noon, and will stay open until Monday at 5 PM. If enough dealers do well, there will be another show next year. We’ve exhibited at this show for decades and would be sad if it were to fail. Do your part by visiting the show and consider making a purchase. Tune in Tuesday for the results. 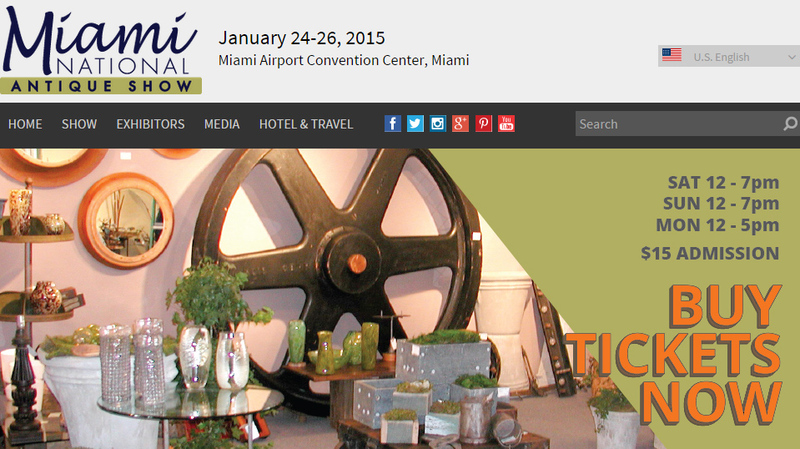 Next Friday, January 30th, the eagerly anticipated Original Miami Beach Antique Show will open to the public. After all these years, it’s still a big deal. Dealers and attendees from all over the world flock there to do business. I imagine the total value of the merchandise on display is at least $1 billion. At a 10% sell-through rate, that’s $100 million in sales — not a bad piece of change. Thursday’s blog will be delayed until Friday because I will be writing from the floor of the Miami National Antique Show. Monday’s blog will be postponed until Tuesday so I can include the results of the show, which ends on Monday. I missed the last couple of Thursday posts because I was really busy getting ready for Florida. There’s a lot of work involved in cleaning, rewiring, inventorying, pricing and packing a large inventory for shipment by truck. We’re going to be doing five shows in a row, so we had to think of everything. In the meantime, business has been good, so we also had to spend a fair amount of time packing items for shipment. I assure you I am not complaining, only explaining the time pressure. So the Florida shows are finally upon us. As I write this blog in cold New York, it seems surreal to me that we’ll be in sunny, warm Miami this Wednesday, and open to the public for business this Saturday at the Miami National Antique Show (The Airport show). The dates are all screwed up this year, with the show opening on Saturday. Of course, that angered observant Jewish dealers who won’t do business on Saturday and confused just about everybody else. I think the boat show at the Miami Beach Convention Center was the culprit. Its dates were considered more important by the city of Miami Beach, so it took precedence over the antique show, which was bumped to start on Friday, January 30, 2015, instead of the usual Thursday start. That in turn caused the Airport show to start a day later. Got it? The Airport show will be a little smaller this year, but still full of very high-end dealers, most of whom will be exhibiting at the Original Miami Beach Antique Show the following week. If you take the time to come to Miami a few days early, you can get first crack at all of this merchandise. Seems like a no-brainer to me, yet many people haven’t taken advantage of the opportunity. You could visit the Airport show first and then have a few days to soak up the sun and enjoy the great restaurants. Seems like a “win-win” situation to me. So what are you waiting for? Make your arrangements now, if you haven’t done so already. The following week the eagerly anticipated Original Miami Beach Antique Show will open to the public. After all these years, it’s still a big deal. Dealers and attendees from all over the world flock there to do business. I imagine the total value of the merchandise on display is at least $1 billion. At a 10% sell-through rate, that’s $100 million in sales — not a bad piece of change. I’ve always been an active buyer and seller of French cameo glass. Recently I bought a collection in Florida, as well as many items in various locations. I’ve now got four Gallé lamps for sale. Usually I don’t even have one. Gallé blownout vases are highly collectible and desirable. 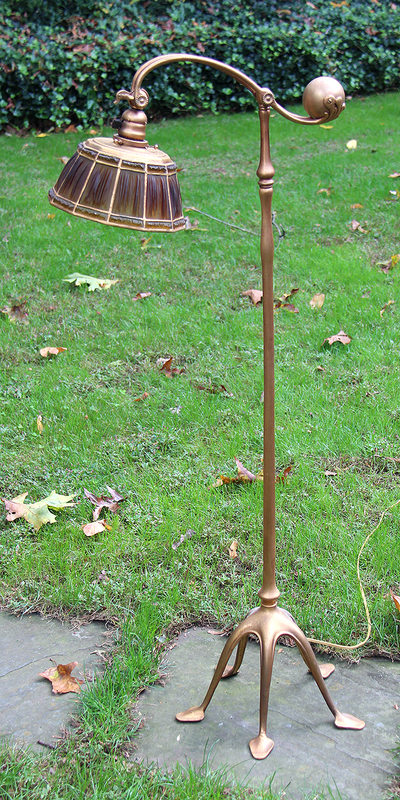 The Fuchsia example above is one of four different, beautiful blownout models I have for sale. 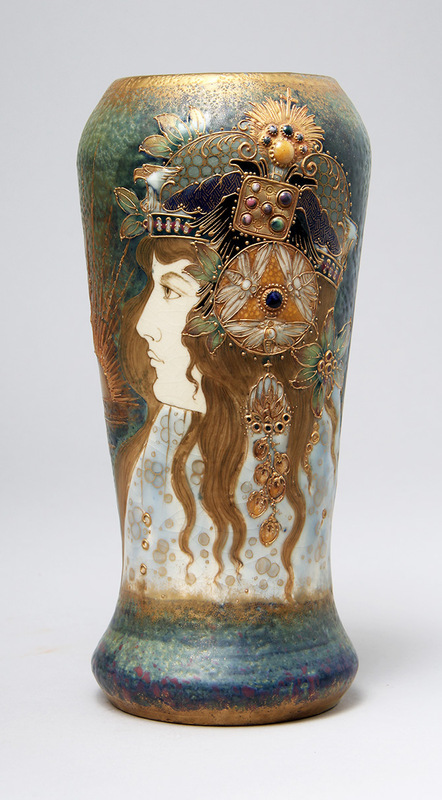 Do you have any idea how much work went into the making of a single Burgun & Schverer internally decorated vase? I’ll tell you. 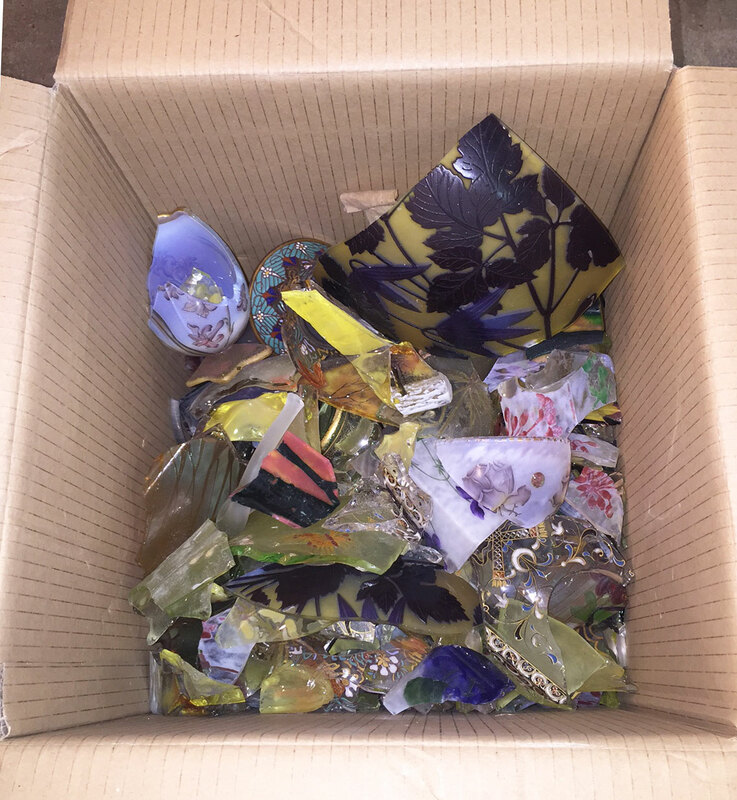 First the gaffer (glass blower) blew the undecorated vase. 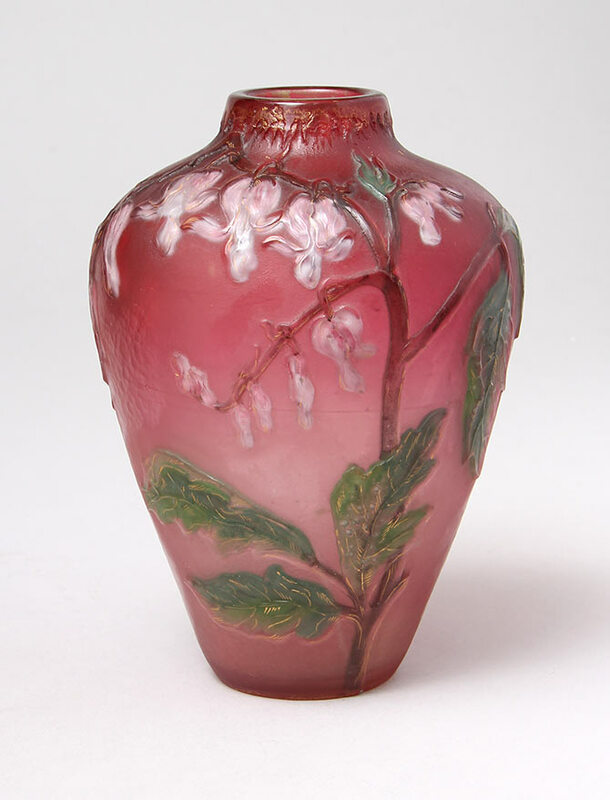 When cold (24-48 hours later), the vase went to a decorator who hand-painted the flowers, branches and leaves with glass enamel paint. Then into the kiln to melt and fuse the design to the vase. At that point, the decoration was on the outside of the vase. It then went back to the gaffer to be reheated and covered with a layer of clear glass. The technique is called paperweight (because the decoration becomes internal). It was difficult, as well as time and labor-intensive. Many of the vases cracked during cooling. 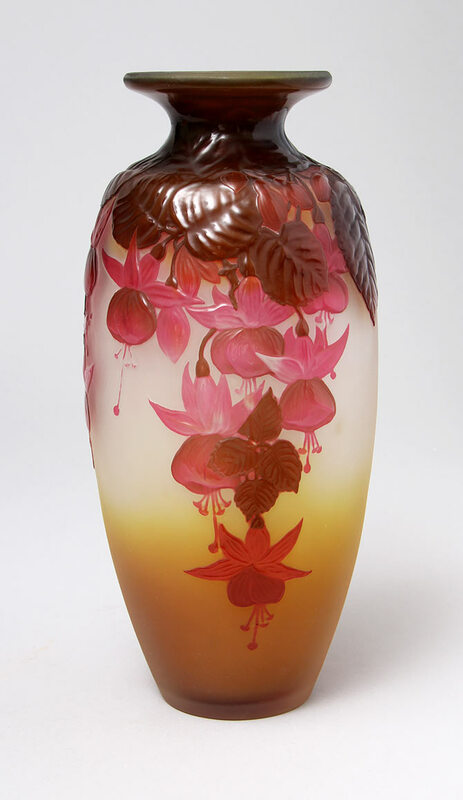 If it survived, 24-48 hours later, the cold vase was sent to a decorator who covered the vase with a waxy resist, hand-carved the leaf, branch and top rim icicles and then sent it for a hydrofluoric acid bath to etch the design. 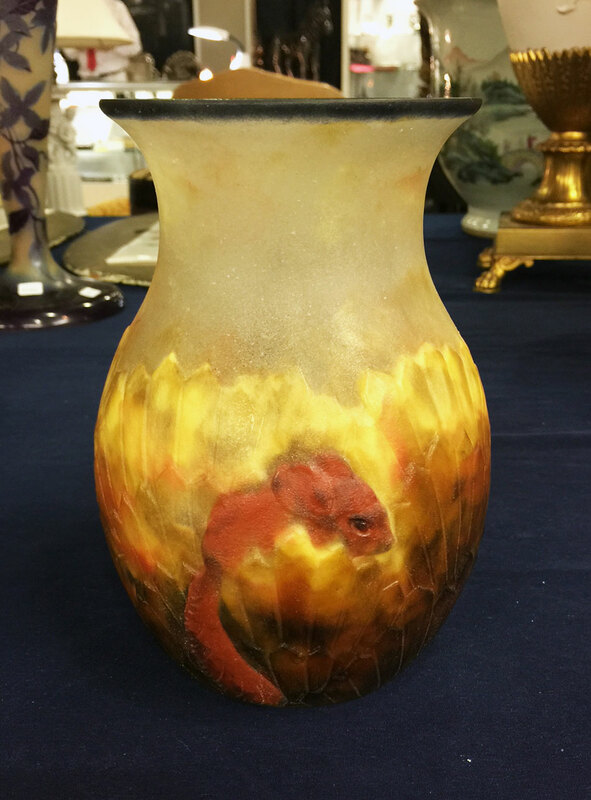 After washing and drying, the vase was heated to melt off the remainder of the waxy resist. Then off to an engraver who hand-carved the details in the flowers and leaves and the martelé flourishes in the background. Not finished yet. Then back to another decorator who hand-painted the gilded details in the veins of the flowers and the top rim. At this point the gold was black, so off to the kiln for still another firing. After cooling, (24-48 hours), out came a piece of art, with internal flowers, incredible workmanship, and shiny gold details, ready for sale. How long would you guess that took, by how many artisans? My best guess is two weeks of work and up to ten very talented glass artisans. I hope next time you look at an internally decorated B&S vase, you’ll have a different appreciation. 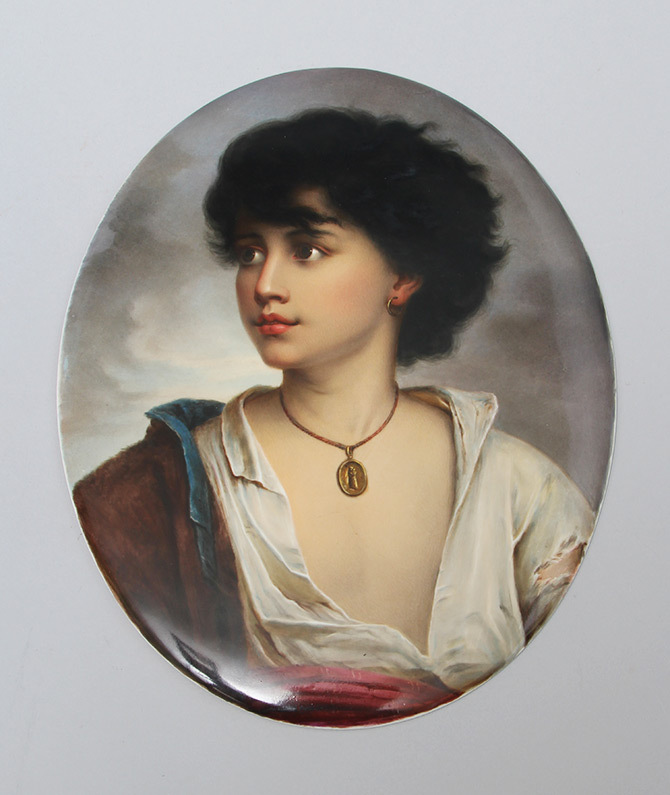 The example pictured above was recently purchased. It’s gorgeous, with outstanding work and a rare, beautiful rose-red background. 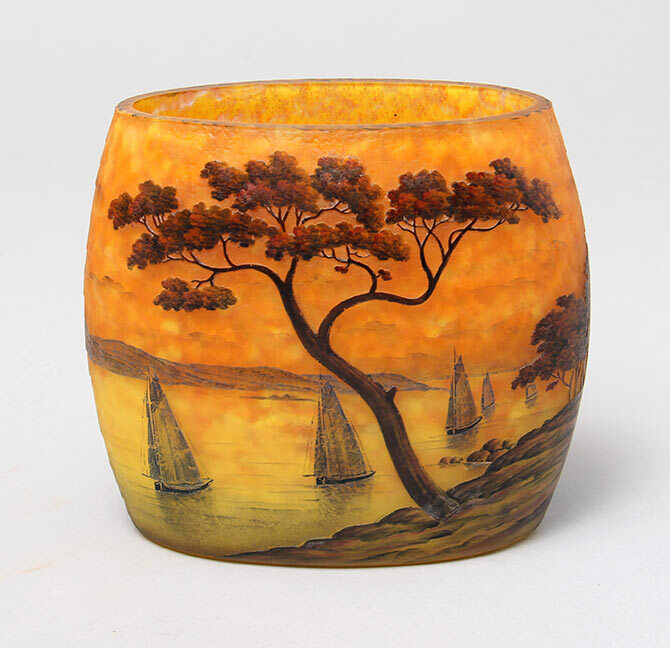 Lastly I’d like to mention that I’ve been able to acquire several outstanding Daum vases, including the marine scenic example pictured above. Please take the time to look over the various offerings I’ve listed on my website. I tried to picture most of the examples I have for sale, but they’re not all there. Time doesn’t permit me to picture everything. Either you can ask me for something specific or best of all, come to see me at one of my shows in Florida. You won’t be disappointed! I can’t believe it. 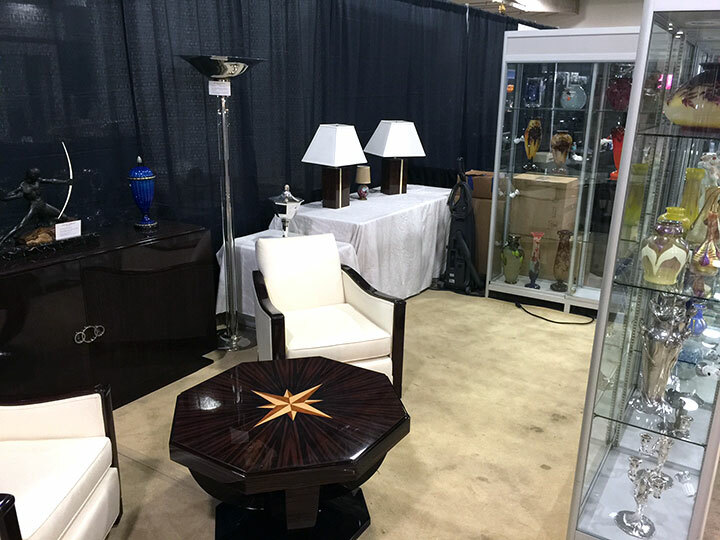 By the middle of next week, we’ll be in Miami setting up the Miami National Antiques Show (the Airport show) and by Saturday we’ll be open to the public for business. If you plan on going to the big Miami Beach show the following week, you should consider coming a few days early to visit this one. You’ll get first crack at some of the following week’s merchandise (and out of the cold!). Monday’s post should be up by noon. 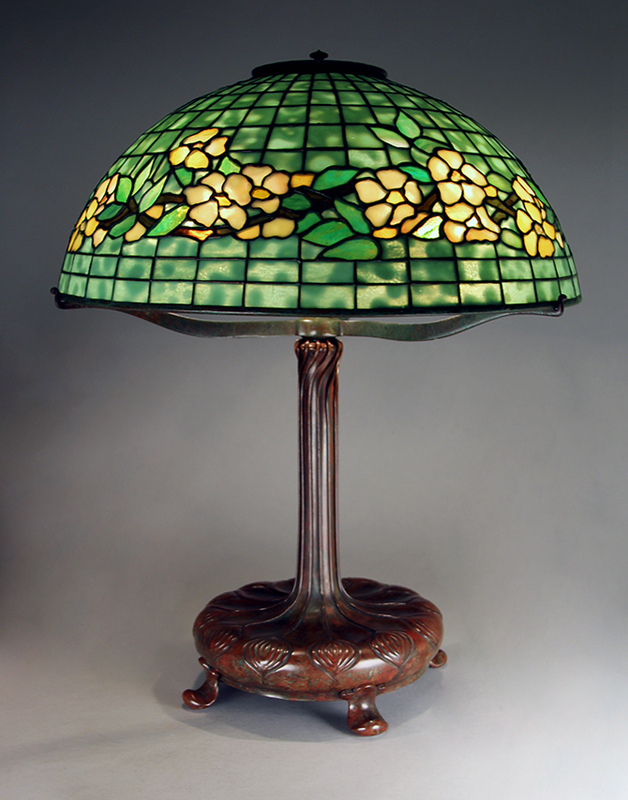 I feel lucky to live only a few miles from Laurelton Hall, the home of Louis C. Tiffany. 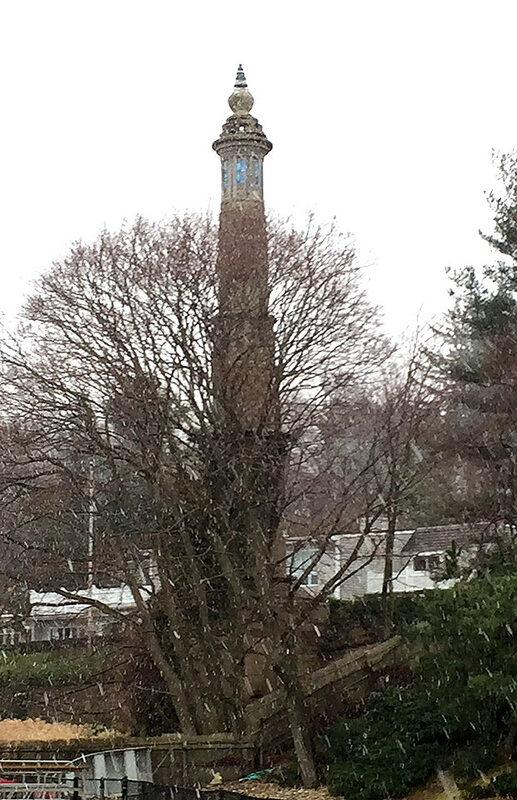 I wonder how many of the residents of the many mansions that now cover the 600 acres of the former grounds of Laurelton Hall know about its history. My gut feeling is that most of them don’t have a clue. 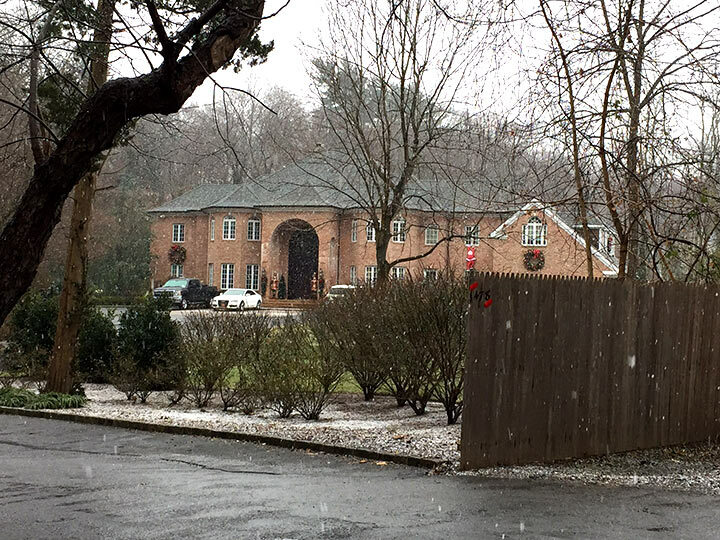 The mansion above is one of a couple that sits right on the location of Laurelton Hall. In the backyard, one original wall remains. I’m curious if the owner is permitted to knock it down, or does it have historical status? What a joy it must be to live right on the same ground that Tiffany lived and breathed. It’s my opinion that if Laurelton Hall had never burned down, and were preserved, it would be one of the most visited sites in the entire USA. I dream about it. Did you know that Sagamore Hill, the summer residence of President Theodore Roosevelt, is just down the road? Tiffany and Roosevelt were neighbors. 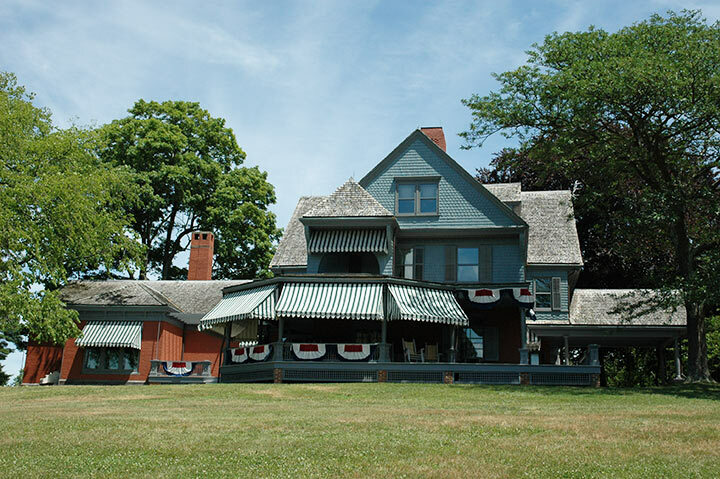 Sagamore Hill has been beautifully preserved and is a must-see if you come to Long Island. Here’s another hint. Teddy Roosevelt is buried just down the road and almost nobody goes. It’s right next to the Theodore Roosevelt Sanctuary & Audubon Center, 134 Cove Road, Oyster Bay, NY. My guess is that most people who visit Sagamore Hill never visit his grave, simply because they don’t know it’s there. 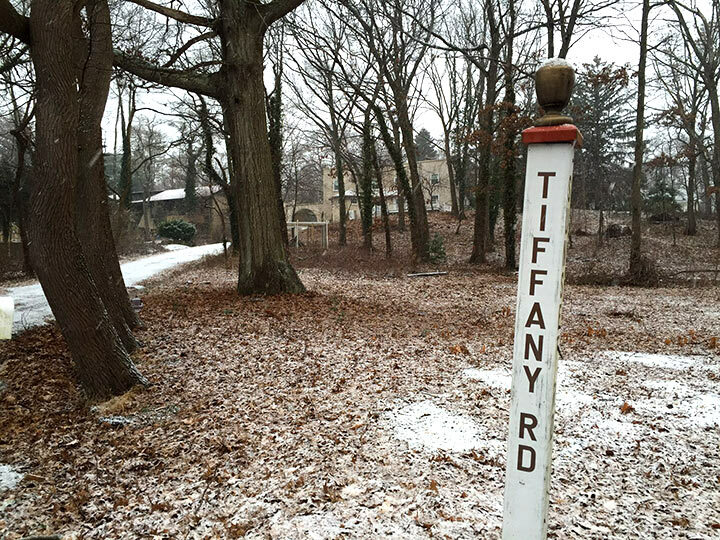 Driving down Tiffany Road, you can see the caretaker’s house, near the original entrance to the estate. I might be spreading rumors here, but to the best of my knowledge, the house was occupied for many years by Bruce Randall. He was Mr. Universe in 1959 (way before Arnold Schwarzenegger). He’s the same Bruce Randall who not only wrote the forward to the famous book on Tiffany lamps, The Lamps of Tiffany, by Egon Neustadt, but the entire book. Supposedly, Dr. Neustadt was just the collector who put together his famous collection, while Bruce did all the writing. 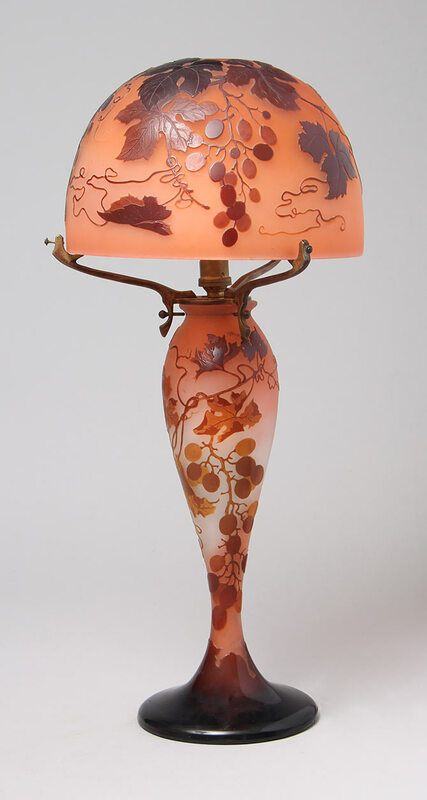 In another aside, you can view the Neustadt collection of Tiffany lamps in two places, the New York Historical Society in NYC and the Queens Museum in Flushing Meadow Park (the site of the 1939 and 1964 World’s Fairs). 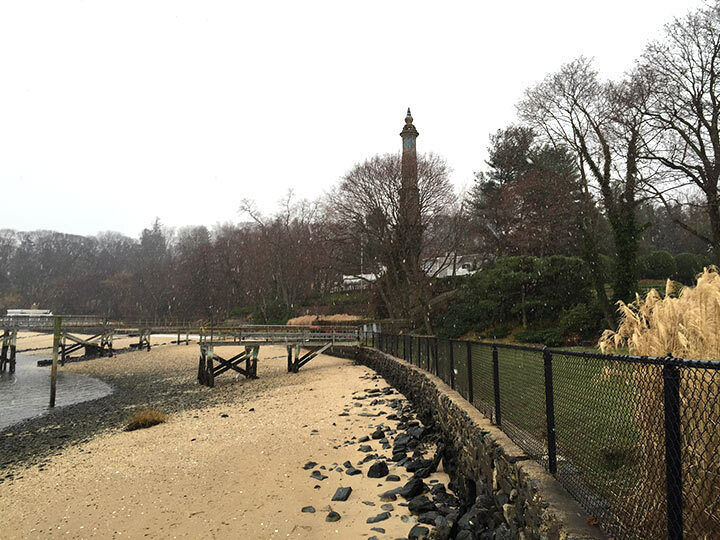 If you’re planning a trip to New York, consider adding a side trip to the Oyster Bay, Laurel Hollow, Cove Neck area of Long Island. You’ll be rewarded. There won’t be a Thursday post this week, but tune in next Monday for What’s New at Chasen Antiques, part III, with an emphasis on French glass. I’ll be spending the next couple of weeks looking for still more treasures to bring to Florida for our southern circuit. Wish me luck! Happy New Year! I wish everyone a happy, healthy, prosperous New Year, filled with stories of kindness and peace. I’ve been buying some lovely KPM plaques. The example above is of a Gypsy child, beautifully painted. It’s fairly large, 11″ x 8½”, unframed, and in excellent original condition. People I’ve spoken to are split 60 girl/40 boy. If you absolutely know, please contact me, because I don’t have the answer. Most KPM plaques are copies of famous paintings in museums, so the answer is surely out there. How about a Roycroft rarity? 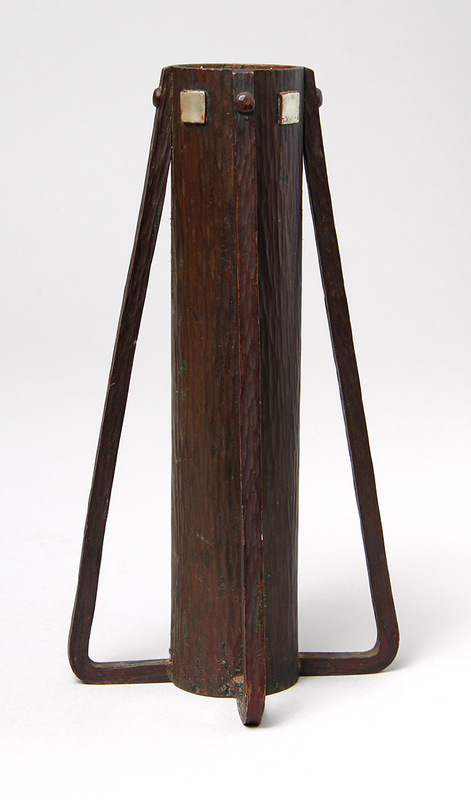 Dard Hunter-designed, mixed metal, hand-chased, 8″ tall, signed Roycroft. Not what you’d expect to find at Chasen Antiques, except for the quality. Amphora portrait vases is an area where I’ve gotten lucky. I have several fine examples including the beauty pictured above, fresh out of an important collection. 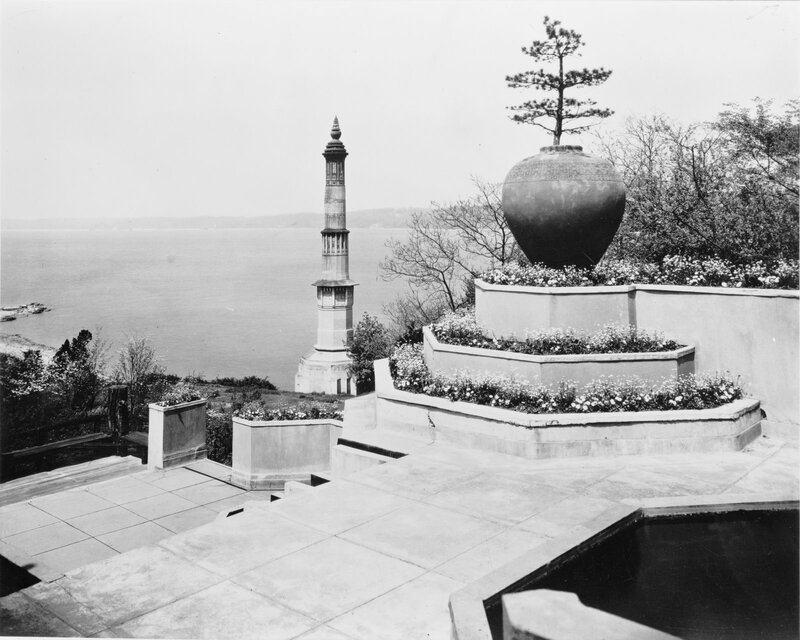 Monday’s post will be a fascinating look at what remains of Louis C. Tiffany’s home, Laurelton Hall. You won’t want to miss it. In the meantime, please check my website. I think you’ll like what you see. I’ll be spending the next three weeks looking for still more treasures to bring to Florida for our southern circuit. Wish me luck!